The Sigma Corporation is pleased to announce the new generation of high image quality compact cameras “SIGMA dp” that incorporates a newly developed Foveon X3 direct image sensor (generation name: “Quattro”). Unique and without peer among image sensors, the Foveon direct image sensor is similar to traditional color film in that its multiple layers capture all of the information that visible light transmits. 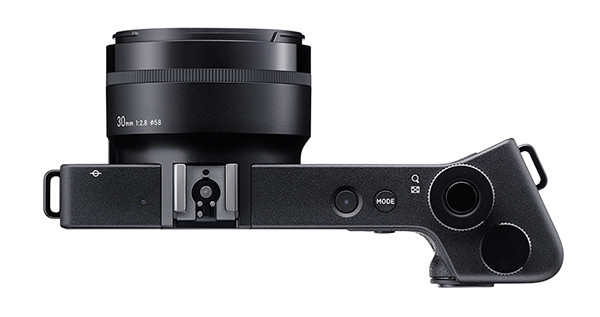 Along with Sigma’s proprietary image processing technology, this sensor produces incredible resolution, precise gradation, gorgeous color, breathtaking realism with a 3D feel. In other words, full-bodied image quality. For the new dp series, we rethought and redesigned every aspect of the camera, including the sensor, engine, lens, and body. While retaining its famous textural expression, which seems to give form to the air itself, the updated Foveon direct image sensor produces images that are more colorful, rich, deep, and faithful than ever before. 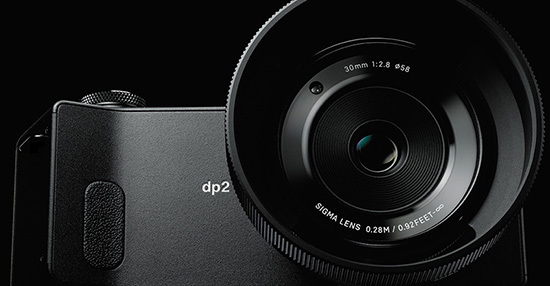 To a radical degree, the new-generation dp series embodies Sigma’s philosophy of creating cameras that produce works of art. Featuring the highest level of fundamental performance, this series unites artistic expression and daily experience as no other cameras can. Thanks to its optimized design featuring a fixed focal length lens and integrated body, the dp series offers both sensor and lens performance at the highest level. The result is full-bodied image quality. In addition to superior holding performance, the camera body offers a balanced shape, layout, and weight distribution. With all of its elements designed for image quality, the dp offers highly intuitive operation. Its complete and robust specification allows the photographer to concentrate fully on photography itself and leverage the camera’s potential to produce outstanding images. In everyday life, the dp series lets photographers find unexpected opportunities for experiencing emotion and enjoy photography and personal expression in exciting new ways. It is an outwardly simple yet extremely powerful embodiment of Sigma’s philosophy of photography. The dp series comprises three fixed focal length cameras, each of which features a different basic focal length for a different fundamental photographic approach: the wide-angle dp1 Quattro at 19mm, the standard dp2 Quattro at 30mm, and the medium telephoto dp3 Quattro at 50mm (respectively equivalent to 28mm, 45mm, and 75mm on a 35mm lens). Moreover, the three models share an exciting new camera body that brings out the best performance from the lens and image sensor. It’s a simple but powerful lineup that delivers medium format-level image quality anywhere, anytime. Take all three with you and select as needed for the perfect shot. Only the dp series puts so much luxurious photographic potential in your hands. Starting with our very first digital camera, we have featured the Foveon direct image sensor, which offers radically better image quality than any other sensor available. Leveraging the light absorption characteristics of silicon, the sensor comprises three layers of photodiodes, each at a different depth within the silicon and each corresponding to a different RGB color. Since it is the only sensor to use this superior vertical color separation technology, it is also the world’s only direct image sensor. In the Foveon direct image sensor, there are no color filters, which cause a loss of information transmitted by light. Moreover, there is no low-pass filter needed to correct the interference caused by a color filter array. Finally, unlike the data from other sensors, which requires artificial interpolation to “fill in” missing colors, the data from the Foveon direct image sensor is complete for every single pixel and requires no interpolation. The unique technological principle of this sensor produces consistently outstanding image quality. The newly developed Foveon X3 Quattro is the latest generation of this unique sensor. While retaining the distinctive characteristics of its predecessors, it offers an even higher level of image quality. In addition to 30% higher resolution, the volume of image data has become lighter, and it enables much faster image processing and lower current consumption. ISO100~ISO6400 (1/3 steps for appropriate sensitivity), AUTO: High limit, low limit setting is possible between ISO100~ISO6400. When using with flash, it changes depending on the low limit setting. This entry was posted in Sigma and tagged 2014 CP+ show. Bookmark the permalink. Trackbacks are closed, but you can post a comment.